ADR300-URB ATOM Document reader P/N: 10AIATOME01 : Flatbed Full-Page Document Imager & MRTD Passport Reader, visible, IR and UV lights, RFID with Barcode option. The ATOM allows for both desktop use and simple OEM integration into countertops, self-service kiosks and self-bag drops. The device delivers fast (non-swipe) MRZ decoding of passports and ID cards. 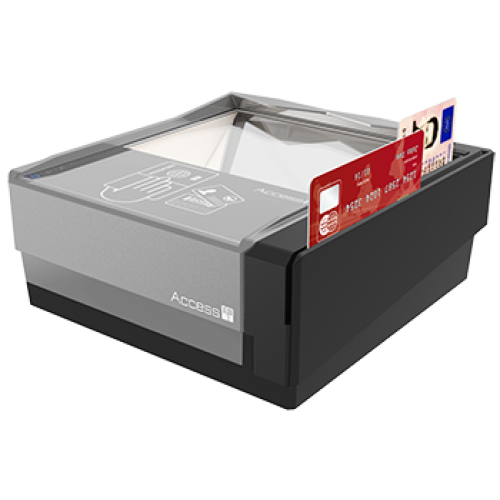 ACCESS-IS' innovative ATOM Document Reader sets the ticketing and passport reading standard for years to come.